There's always a place for Santa Claus. 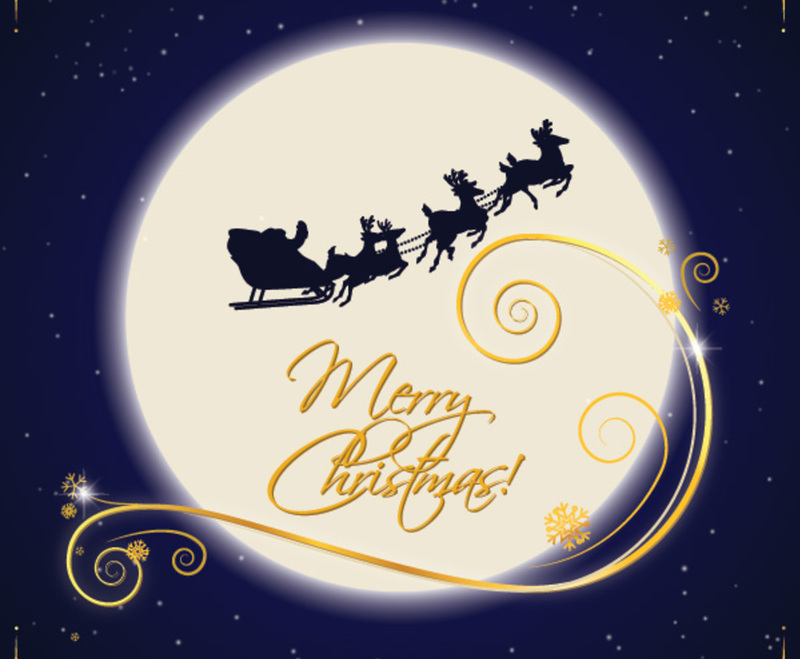 This graphic features the silhouette of Santa and his reindeer floating over a glowing full moon. Stars twinkle through the background, and the image is framed by golden snowflakes in each corner; the blue of the night sky darkens gradually as it moves away from the moon. In the center, an elaborate line of gold curves around the words "Merry Christmas" while snowflakes drift down. This graphic plays on the magic of the Christmas season, and it's a fun way to send warm wishes to your friends and family.